There is plenty of love in our Faces and Places Photograph Archive. Just in time for Valentine’s Day, I thought I would share some of the love and Valentine’s Day inspired photographs in our online archive. Anniversaries –Faces and Places contains many Silver, and Golden Wedding Anniversary photographs like this one of Mr. and Mrs. Harry Smith of Park Hills on May 5th, 1974. Engagements- It was very popular in the 1960s and 70s for women to publish an engagement photograph in the local newspaper. 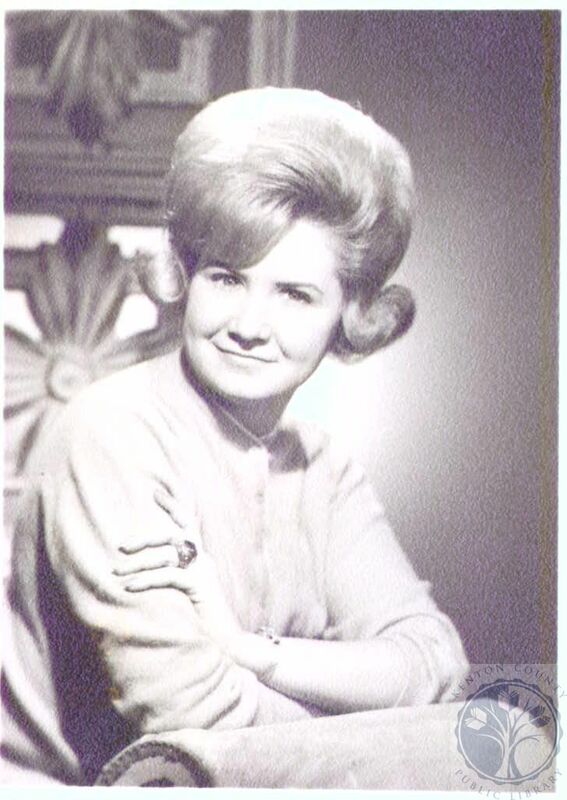 Pictured is Judith Ann Stephens of Union, on June 3, 1965 who was engaged to Richard Lee Hammitt. You can search for engagement announcements in our Northern Kentucky Newspaper Index. Weddings- A lot of happy couples on their wedding day can be found by searching Faces and Places. I especially enjoy this August 2, 1981 wedding of Helen Buschard 75, to Charlie Williams, 81. Buschard is wheeled down the aisle by Robert Williams (Lakeside Place Administrator) who gave her away at the ceremony. Sweet Shops- Chocolates, candy, cakes and pies are all popular tokens of love on Valentine’s Day. Faces and Places has photographs of local sweet and candy shops, like this picture of Katherine Hartmann. 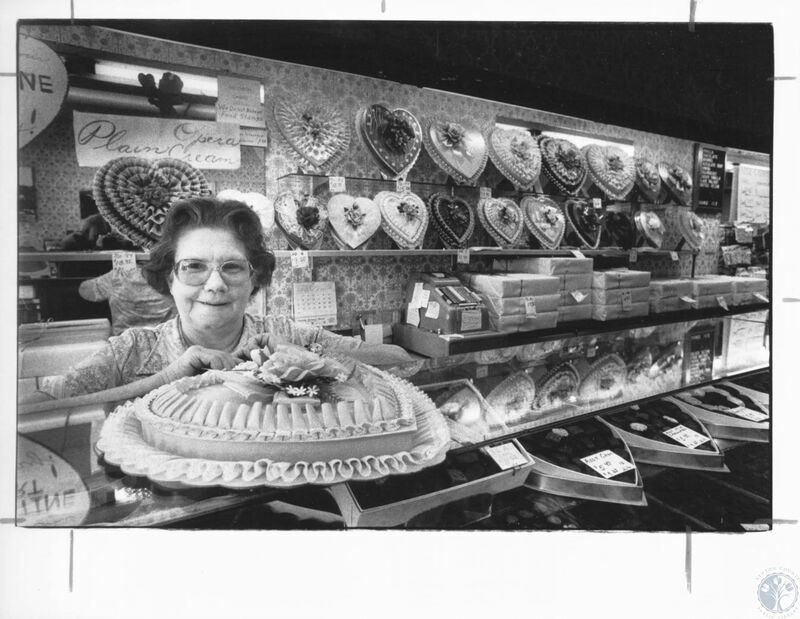 Hartmann was the owner of Lily’s Candies at 9th and Madison, and she is ready for for the Valentine’s Day rush on February 12, 1982. Also, we’ve added local sweet shops to our Historypin account! These are just a few of the images of love and Valentine’s Day we found in Faces and Places. What is your favorite love inspired picture in the Faces and Places collection? Have you found a relatives engagement, anniversary or wedding photograph? Tell us in the comments below!